It’s a place where pizza and pisco sour make perfect partners, and friendly dogs roam the unfinished streets hoping for a morsel of crust and a pat on the head. 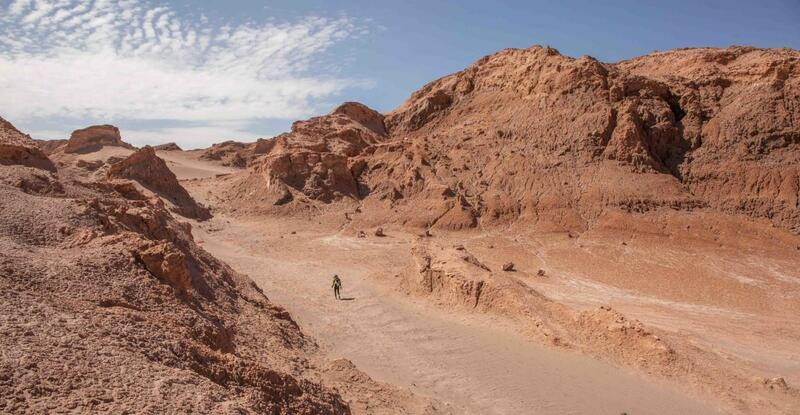 San Pedro de Atacama is the host town for the Atacama Crossing and has been for the last thirteen years. An oasis town located in the middle of the Atacama Desert has a permanent population of just 2,500 people - it's little more than a handful of picturesque adobe streets clustering around a pretty tree-lined plaza and postcard-perfect church. But you’d be mistaken to think that this means there is nothing to do. San Pedro is surrounded by some stunning and unique sites for before and after the race. It's easy to get side-tracked in the hippy vibe of the town centre which has an addictively relaxed atmosphere but San Pedro offers a wealth of options for every traveller. From the 4 & 5 star luxury adobe hotels just a few blocks from the main square (as well as many hostels and mid-range hotels), to fantastic adventures and experiences awaiting anybody with a few days to spare. “San Pedro can hook travellers for weeks” says The Lonely Planet. 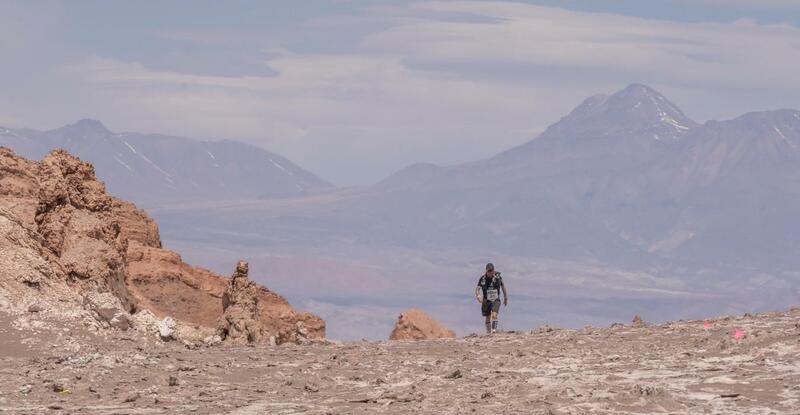 For those participating in the Atacama Crossing, the annual self-supported footrace in the driest desert in the world, it's highly recommended that you arrive a few days early to acclimatise to the altitude and enjoy the local vibe and attractions. The town lies at 2400 metres / 7,800 feet above sea level, with the race starting at 3000 metres / 10,000 feet. So why not make the most of your early arrival. One day will take you to El Tatio Hot Springs where bubbling mud, steamy soil and spectacular geysers are a sight to be not to be missed. Other day trips include sand boarding down stunning dunes (it's worth the slog up), and horse riding, cylcing to salt lakes, along old Inca routes or to other nearby settlements. If you have a free evening, head outside and test your knowledge of the constellations: the Atacama desert is home to the largest telescope in the world and not without reason. It is quite simply the best place in the world for star-gazing. With a bit more time, we can't recommend enough the three-day 4WD trip just across the border into the Bolivian high plains where you will see the most fantastically coloured lakes at 5,000 meters / 16,400 feet, not to mention flamingos and other unique flora and fauna that are attracted by the rich mineral deposits. You may even make it to Tupiza, the place where Butch Cassidy met his end. The highlight of this trip though is the Salar de Uyuni. My second favourite place on planet Earth. The largest salt flat in the world: a seemingly endless expanse of white. Except when you get up close and personal, there are salt crystals in natural hexagon shapes, mirages and simply enormous cacti. Distances take on a meaning of their own and perspectives completely change. You'll travel with a driver and a cook and will stay in basic huts, maybe even the salt hotel. Not everyone has the luxury of this much time in which case you can do a shoter one-day trip across the border to Bolivia (no visa needed) up to 4,500 meters / 14,700 feet to see the stunning emerald green lakes, volcanoes and flamingoes. 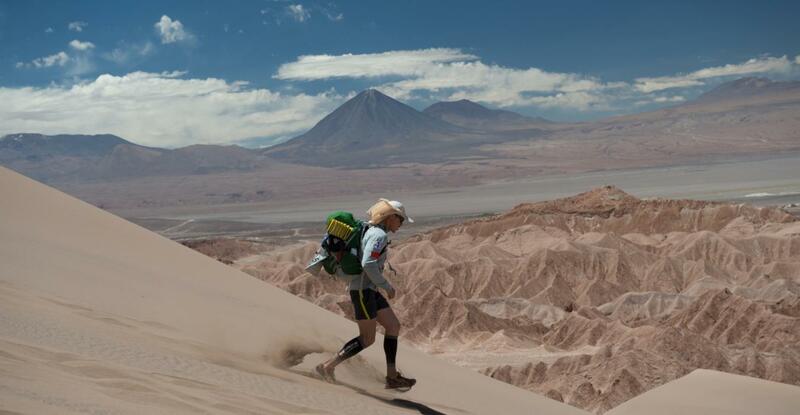 The most beautiful acclimatisation you’ll find! 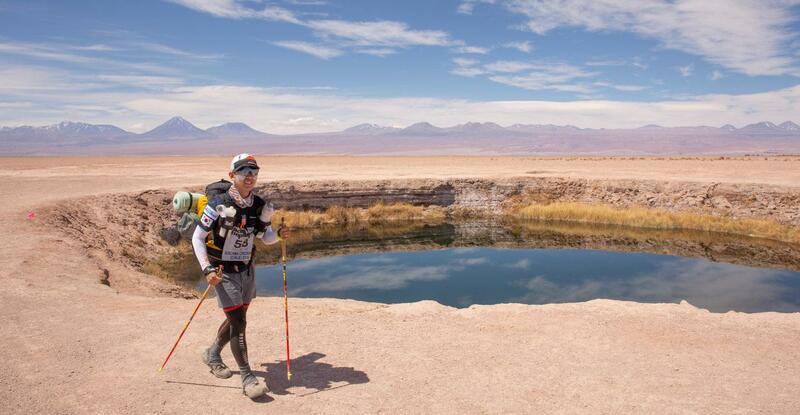 These options do not even include some of the local highlights that you will run through and in during the race itself – Valley of the Moon, Valle del Muerte, Rainbow Valley, Laguna Tebinquinche, slot canyons, the infamous salt flats and more. 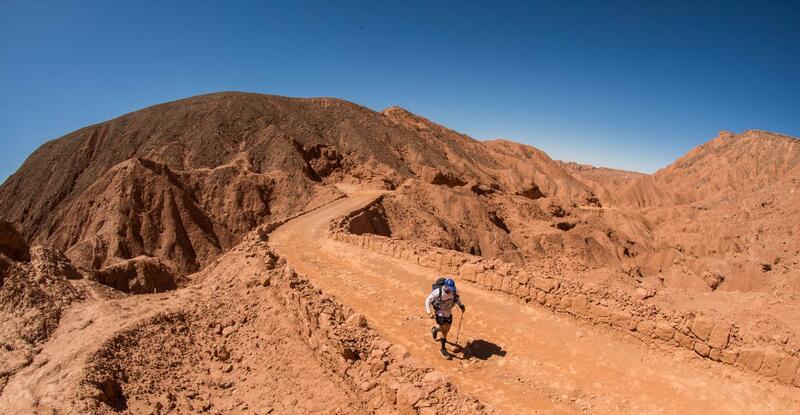 It's not for nothing that the Atacama Crossing has become many 4 Deserts participants' favourite race location.